The Johnson flexible pump impeller has twelve blades and is supplied complete with gaskets, O-ring, lubrication gel and instruction manual to aid installation of the impeller into the flexible impeller pump. 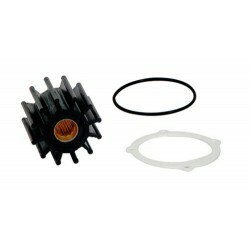 The Johnson 09-1027B-1 can be used to replace the Jabsco 1210-0001 Europe and USA flexible impeller. 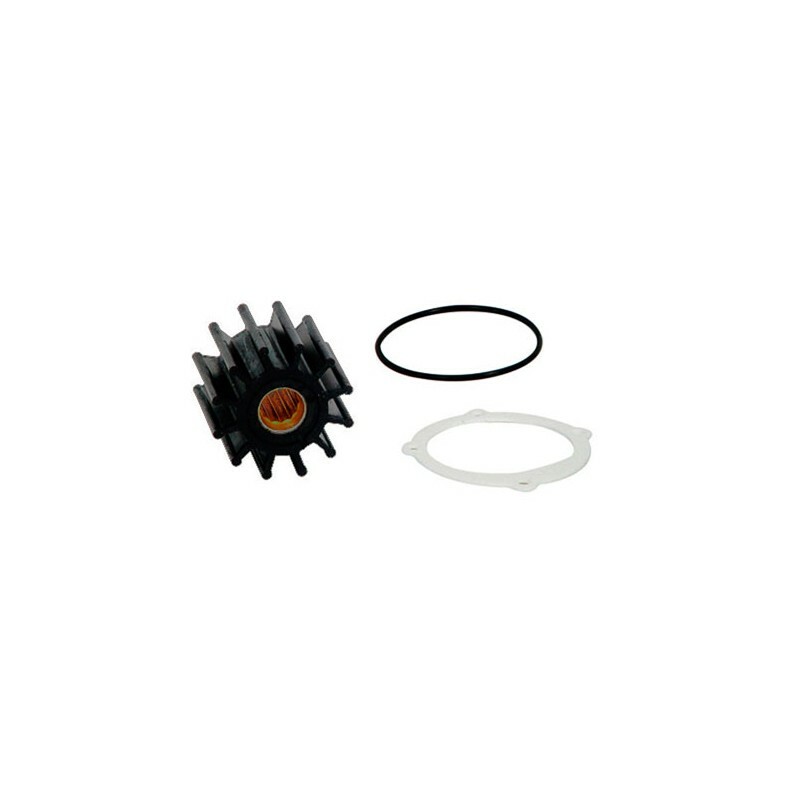 For applications containing diesel or light oils, use Johnson nitrile impeller 09-1027B-9. It is highly recommended to make sure you use an original pump impeller for your flexible impeller pump as this will ensure that the quality complies with the performance and dimension requirements for each pump type. Johnson Pump impellers are manufactured in strict compliance with the pump specifications set by the engine manufacturers.